The monument close to the Duigan Monument, commemorates the centenary of the historic flight undertaken in July 1910. 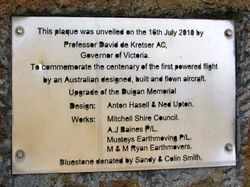 This plaque was unveiled on the 16th July 2010 by Professor David de Krester AC, Governor of Victoria. To commemorate the centenary of the first powered flight by an Australian designed, built and flown aircraft. Works : Mitchell Shire Council. M & M Ryan Earthmovers. 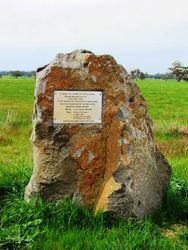 Bluestone donated by Sandy & Colin Smith. 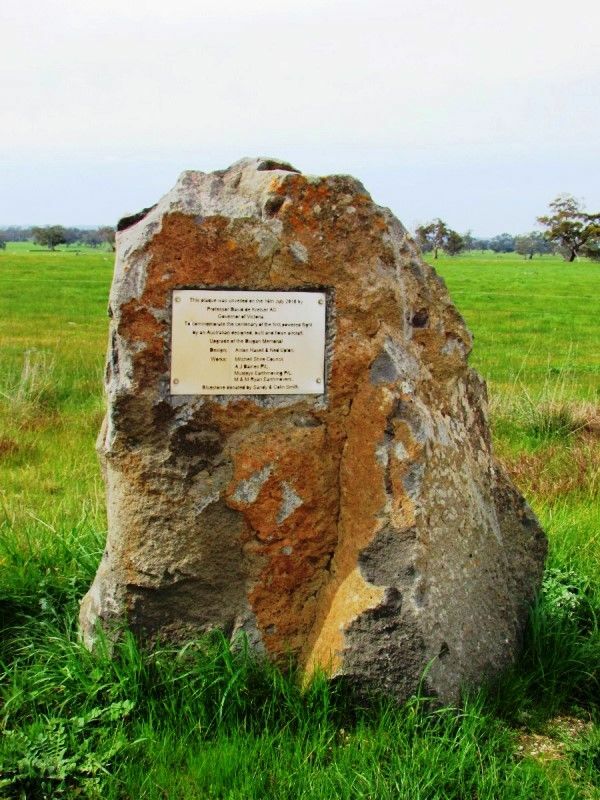 On July 16, 1910, John Duigan flew an aircraft for a distance of 23 feet (7 metres) at his family`s property "Spring Plains" at Mia Mia, Victoria. This is acknowledged as the first powered, controlled flight of an all Australian designed and built aeroplane.